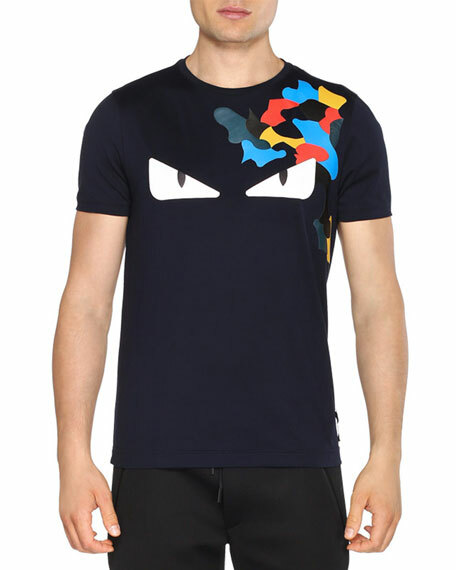 Fendi jersey T-shirt with leather monster eyes. For in-store inquiries, use sku #1660267. 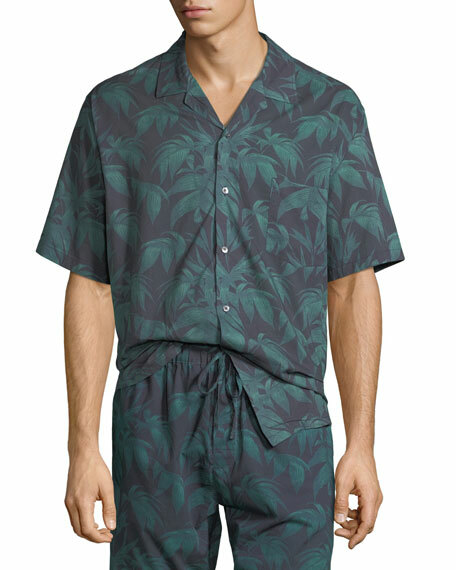 Desmond & Dempsey 1960s-inspired Cuban shirt in foliage print. Notched collar; button front. Short sleeves. Patch pocket at left chest. Boxy fit. Straight hem. Cotton. Made in Portugal. 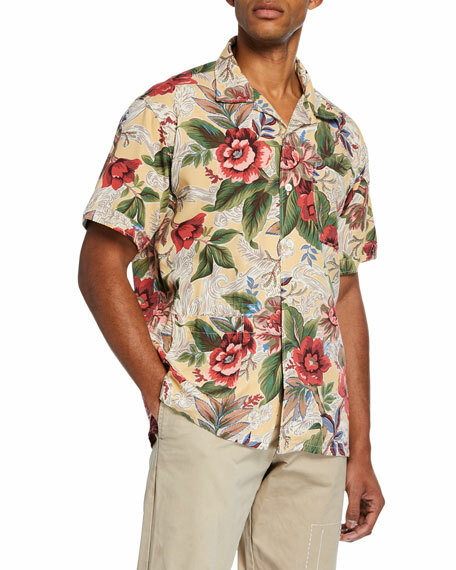 Engineered Garments camp shirt in Hawaiian print. Spread collar; button front. 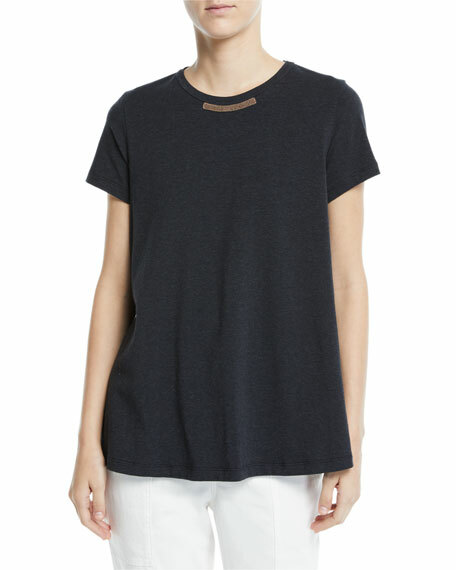 Chest patch pocket. Side patch pocket. Short sleeves. Side-vented hem. Rayon. Made in USA. Eskandar full-length linen trousers. Drawstring waist. Straight legs. Pull-on style. Made in Poland. Model's measurements: Height 5'10"/177cm, bust 31"/79cm, waist 24"/61cm, hips 34"/86cm, dress size US 0/2.